Covesting is a copy trading platform built for investors and cryptocurrency traders. Covesting allows its users to search and compare the trading performance of hundreds of proven digital asset managers and copy their trades automatically. While asset managers benefit from additional income generated by profitable trading, investors enjoy peace of mind knowing that their funds are managed by industry professionals. Covesting automates digital asset management processes and bypasses trust and security issues while making investments transparent, simple, and secure. To fund the development of the Covesting copy trading platform, the startup is conducting an initial coin offering. The Pre-ICO was launched on October 20 and ran until November 19, 2017. During the Pre-ICO, 300 COV tokens can be bought for 1 ether (ETH). The company is aiming to sell 1.5 million COV tokens. The official Covesting ICO is scheduled for November 24, will run for one month, and will have a 100,000 ETH (~$33 million) hard cap. The cost of COV tokens during the ICO will be tiered depending on the number of tokens purchased. For detailed instructions on how to participate in the Covesting token sale, you can click here and if you want to invest, you can click here. Only ether (ETH) will be accepted as a currency to purchase COV tokens. Trading digital currencies can be very profitable but also very complex if you are new to trading and the digital currency markets. Covesting’s solution to this problem is the creation of a copy trading (also known as social trading) platform that enables users to automatically copy the trades of professional digital currency asset managers that they can follow within the social trading network. Covesting’s mission is “to help investors from around the world enjoy professional asset management services, by bringing a copy trading platform to digital currency markets,” according to its whitepaper. In addition to enabling inexperienced digital currency investors the chance to invest in this asset class by copying the trades of professional traders, Covesting also provides professional traders with the opportunity to set up funds that are then copied by others within the network. For successfully managing funds that are copied by other Covesting users, fund managers receive a ‘success fee’ of 18 percent from all profits generated by their copiers while the Covesting platform takes a 10 percent commission, leaving investors with 72 percent of their “copied” profits. 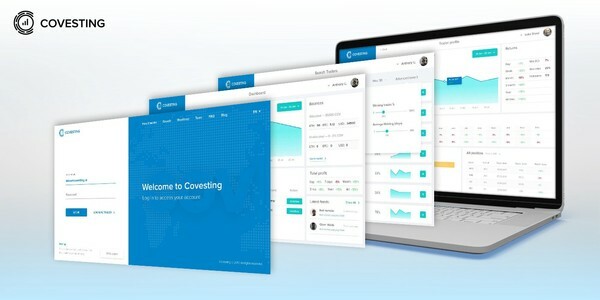 Covesting is creating a platform that may benefit digital currency investing newcomers as well as seasoned professionals who have been trading the crypto markets for years. The Covesting team is led by former securities traders Dmitrij Pruglo and Timofej Voronin. Pruglo is Covesting’s CEO and has over 12 years of experience of trading on behalf of private clients. COO Voronin also comes from a private client trading background and has worked at several international banks before co-founding Covesting with Pruglo. They are supported by CIO/CTO Sergey Sevantsyan, who has 20+ years of experience in the IT industry and has worked on several ICOs as well as Paul Hinrichsen, an ex-trader with marketing experience who heads business development at Covesting. The Covesting team also includes Max Sayganov, who runs marketing strategy, Konstantin Zherebtsov, who handles IT security, Aleksandr Strah, the team’s smart contract developer, and Ivan Sologub, who handles marketing and PR. Covesting has also attracted several advisors from the retail trading industry as well as blockchain experts who have advised previous ICOs such as Slim Ventures’ Mike Bishop, JD and BitNation co-founder James Fennell. Given that the majority of the team comes from a retail trading background, it has the necessary experience to create a platform that matches private clients’ trading needs with new technological trading solutions. The COV token is an ERC20 Ethereum token that will enable Covesting users to subscribe, and thereby copy, one or several model portfolios provided by model managers. The demand for COV tokens will, therefore, correlate with the platform’s copy trading volume. Aside from the natural demand for COV tokens that will come from the platform’s user growth, token holders are also rewarded with two types of commissions on the platform: firstly, the two percent entry commission that will be charged every time an investor deposits funds on the platform to copy a model portfolio and secondly, the ten percent commission charged on all profits realized by copy trading. As the Covesting platform grows over time, more commission payments could accrue in the Covesting Asset Contract, which could increase the COV token price over time. Twenty million COV tokens will be generated. Of the 20 million, 1.5 million will be sold during the pre-ICO, 15 million will be sold during the official ICO, and 2.5 million will be kept by the founders and will stay locked up for three months after the ICO. The remaining COV tokens are reserved for advisors, bounties, and PR expenses. Unsold COV tokens will be burned and no tokens can be mined in the future. Covesting’s token sale has, so far, been very professionally managed and it is, therefore, not surprising that the startup is active on all major social media channels. You can engage with Covesting on Facebook, Twitter, Kakao, and Telegram; you can read its updates on the company’s Medium blog. Given the popularity that digital currency investing has garnered, it is no surprise that Covesting has managed to grow its following, boasting one of the larger Telegram groups of new ICOs with almost 2,000 members as well as a very active BitcoinTalk forum thread. You can also inspect Covesting’s GitHub if you want to have a look at its ICO smart contract code. Covesting is trying to replicate the business model of the successful social trading platform eToro, which allows users to copy trades for a range of asset classes in a fully automated fashion from successful traders they choose to follow. The main difference between Covesting and eToro is that Covesting focuses solely on the trading of cryptocurrencies. 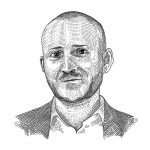 Given the success of social trading and its leading providers, it makes sense that someone is trying to replicate this business model for the cryptocurrency space. As is the case with most ICO tokens, the Covesting (COV) token will likely gain in value if the platform manages to gain traction and grow its user base over the coming years. The digital currency investment market is becoming increasingly competitive and it will not be surprising to see more digital currency copy trading platforms enter the market in the near future. Having said that, the team behind Covesting has the professional background to build such a platform. Covesting is, therefore, well-positioned to succeed if the startup manages to raise enough funds to complete the development of its platform and it can leverage its first-mover advantage as a digital currency social trading network. Sign up for free email updates regarding Covesting here. For information regarding other current and upcoming ICOs, be sure to visit our initial coin offerings page. 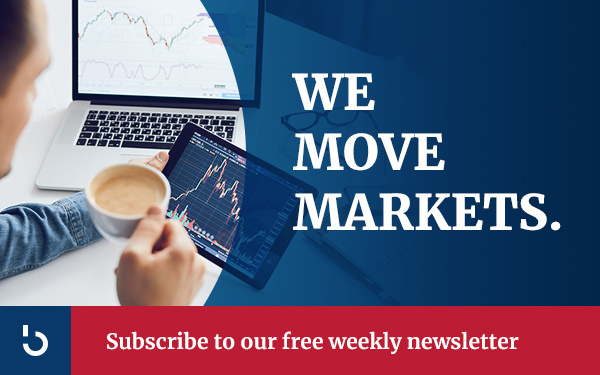 While you are there, do not forget to make the best investment you can make today by subscribing to the Bitcoin Market Journal newsletter!